Save Your Home From The Invasion Of Mechanical Beings! Volcanoids challenges you to partake in an expedition to a forsaken volcanic island you once knew as home. In a world where humans clash with technology the once wondrous place has now transformed into a barren wasteland. 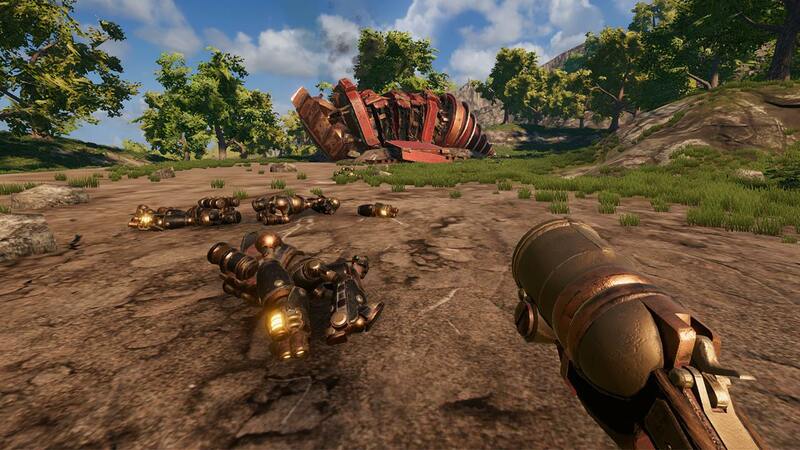 To survive its natural elements, you must outsmart the creatures roaming the place and capture one of their drill ships. By every means necessary you can take advantage of their own technology to use against them on your mission to reclaim your homeland. Volcanoids offers the tension and thrill of surviving volcanic eruptions, where bursts of time in between are a valuable resource to your cause. Roam the island, gather materials, discover new technologies and utilize production. Take the vantage point from your mobile base, stay safe underground or choose a location rich on material to explore. 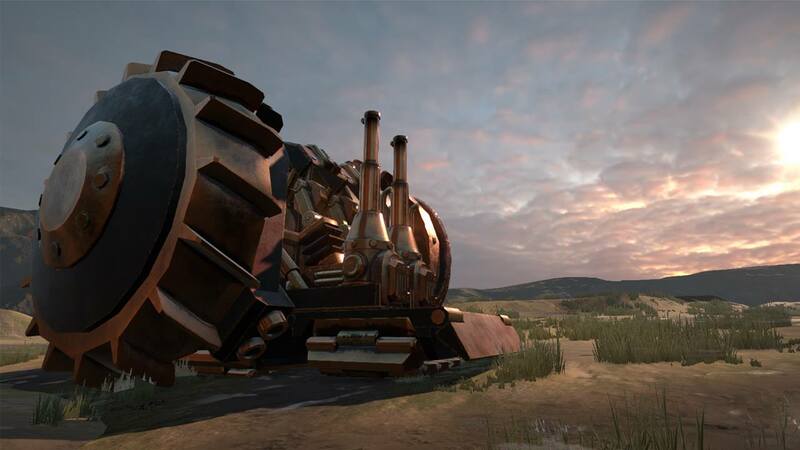 A drillship can serve as a factory and armored base as you play. Automate production, research technologies, set up a perimeter of defense and transform your customized drillship into a powerful base. Hostile race of robots must be dealt with swiftly and their units are quickly infesting areas above as well as below ground.